Gone are the days of direct mail birthday coupons. Help your subscribers celebrate their special day with a unique text marketing offer. At Slicktext.com, we have an automated feature that allows you to collect individual birthday data. Then, once a year, our system automatically fires out an exclusive gift for your subscriber. We always encourage our customers to think outside the box. How can you use this feature to separate your restaurant from the pack? Don’t just do a simple $5 off coupon or complimentary piece of cake. 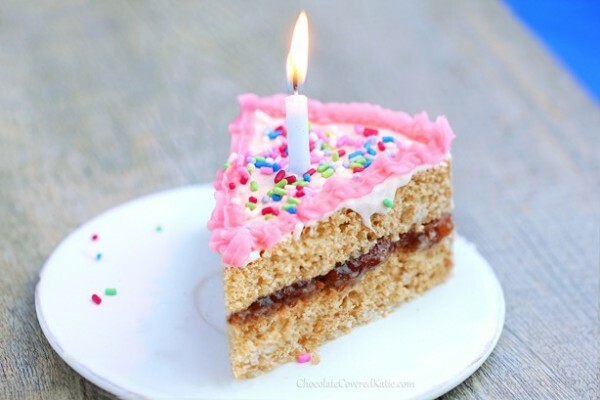 Get creative with these 3 unique ways to use our text marketing birthday feature. Fine dining or fast food, every chef has a few extra tricks up his or her sleeve. Keep a secret menu of birthday desserts. If subscribers show up at your restaurant on their birthday, prepare a complimentary treat for them. Keep it a surprise, that’s keeps the incentive to dine in alive. If the subscriber stops in on their birthday, give them a shoutout on your social media accounts. The more outlandish you make it, the better. Give each birthday guy or girl a crazy hat and snap a pic. This makes the subscriber feel special, and also strengthens your brand identity. Make it an entire experience, and you’ll see a drastic increase in customer loyalty and birthday offer redemption. Let them pick the music for the night. At minimum, dedicate one song to the birthday guest. If you’re a smaller establishment, spin an entire playlist in their honor. You might be seeing a theme here. No matter what you do, make them feel special. Every restaurant does a complimentary dessert or $5 off coupon. Take it one step further. Add to your basic birthday offer with these special bonuses. Keep in mind, subscribers will redeem each offer by receiving and showing a unique birthday text message. This makes the text marketing birthday offer exclusive to list subscribers. Ready to reward your text marketing subscribers with a special birthday treat? Give top text marketing provider Slicktext.com a call at 1.800.688.6290.